Every company is only as good as the people who run it. At nTopic, it doesn’t get any better. A world authority in Search Engine Optimization, Google Maps Optimization, Online Reputation Management & Public Relations. Having worked with pioneers in the medical space, leading attorneys & top e-commerce brands, Immy Tariq has been at the forefront of Search Engine Optimization practices for years by masterminding with other top experts in the industry. Webmetrix Group is one of the top Digital Marketing Agencies in the world. A well-respected, recognized expert in his field—and bestselling author, Imran Tariq has been invited to write for Forbes & Entrepreneur Magazine as a contributor as well as being interviewed on USA Today, CNN & CNBC as well as many other major media publications for his expertise. Huey Lee is a world authority on Lead Generation Techniques and Strategies and has appeared on ABC, NBC, FOX, CBS & Entrepreneur Magazine. The author of the #1 Amazon Bestseller, CUSTOMER FINDING – Online Lead Generation Techniques and Strategies to Grow Your Business, Lee has helped empower thousands of entrepreneurs and business owners to increase their revenues and acquire the knowledge and skills they need. A world authority in Search Engine Optimization and Facebook Optimization for highly-successful contracting, legal, and medical practices, entrepreneur Immy Tariq has been at the forefront of Search Engine Optimization practices for more than NUMBER years. 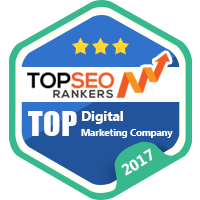 His company, Whispers2Wealth (link to Whispers2Wealth.com) is the #1 Digital Marketing Agency in the world. A well-respected, recognized expert in his field—and bestselling author—Tariq has been featured in Forbes, Entrepreneur, INC, and Huffington Post, and interviewed on CNN. Huey Lee is a world authority on Lead Generation Techniques and Strategies and has appeared on ABC, NBC, FOX, and CBS. The author of the #1 Amazon Bestseller, CUSTOMER FINDING – Online Lead Generation Techniques and Strategies to Grow Your Business, Lee has helped empower thousands of entrepreneurs and business owners to increase their revenues and acquire the knowledge and skills they need.